For me, it’s coffee (not the worst as far as vices go, but I’m not talking just a cup here and there — sometimes coffee controls me). But, for a lot of people — especially those trying to stay away from high-calorie, sugar-filled sodas — diet cola reigns supreme. And why shouldn’t it? Diet soda is a low-calorie, bubbly treat that gives drinkers a serious caffeine boost when they need it most — like during that afternoon slump that simply wants to ruin you. But, after reading findings from a recent study published by the medical journal Stroke, diet soda drinkers may want to look for an alternative to their artificially-sweetened can of happiness. According to the study, people who consume diet soda daily may be nearly three times as likely to develop dementia and stroke as people who consume it less frequently, such as once a week or less. Matthew Pase, a Boston University School of Medicine neurologist and the lead author of the study, stressed the fact that the research did not show causation, only correlation — but it should still be enough to get diet soda drinkers thinking. Pase noted that while the risk of developing adverse health effects may be greater with frequent diet soda consumption, the overall numbers reviewed in the study were low. 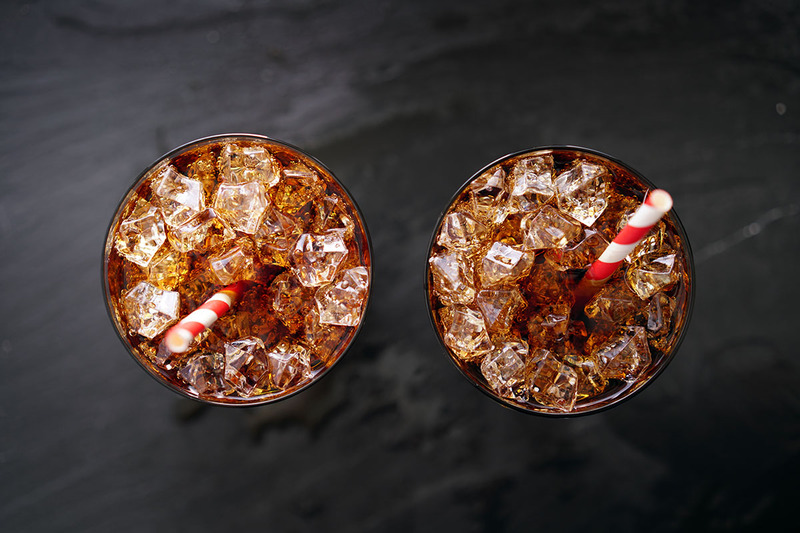 Pase also mentioned several factors that may have influenced the outcome of the study, and acknowledged that these results were by no means proof that artificially sweetened drinks lead to stroke and dementia. Still, the study reinforces what we all already knew (and maybe ignored): while they may not be the worst choice for your body, diet sodas definitely aren’t the healthiest choice, either. Thankfully, you don’t have to quit cold turkey. Instead, try substituting a different fizzy or caffeinated drink a few times a week, skipping your regular afternoon pick-me-up. The good news is that forgoing sodas altogether could not only reduce your risk of health complications later on but could also cut down on your weekly spending — especially if you can make your favorite substitute at home. I know, I know, I just talked about how coffee is a vice in and of itself. But if you skip the heavy cream and artificial sweeteners, coffee isn’t a bad option for getting your caffeine fix when you need it most. And if you just can’t stand the thought of a hot cup of coffee in the middle of the day, an iced version may be more your style. If your addiction to diet soda is less about the caffeine and more about the bubbly, try a can of sparkling flavored water instead. I’m pretty sure that with the amount of La Croix consumed here at The Penny Hoarder HQ, sparkling water could be considered a vice at this point. But that’s OK, because those babies have zero calories, no sugar and are naturally flavored. Win! Or any caffeinated tea, really. Hot or iced, tea is the perfect alternative to soda in the afternoon. It packs a little bit less of a punch than coffee, so it won’t keep you up past your bedtime. You can add a splash of natural fruit juice for a more refreshing twist, or drink it freshly steeped for a cozier caffeine hit. Take your favorite citrus or berries and squeeze, mash and muddle them into a glass of ice cold water. It’s no fizzy caffeine fix, but it’s a refreshing option for the afternoon that might just kickstart your foggy brain enough to power through the work day. If you miss the bubbles, use sparkling water instead. Sometimes, beating the afternoon slump is just a matter of getting a little bit of (healthy) sugar in your system. Instead of cracking a can of processed sugars and syrups, reach for your favorite all natural fruit juice — it’ll give you an instant refresh, and you won’t get cranky as you descend from the caffeine high on your drive home. Instead of relying on a drink to perk you up, try munching on a superfood when the afternoon blues hit. A handful of nuts or a few squares of dark chocolate might be exactly what your brain needs to reset, refocus and recharge so you can finish strong. The next time you’re tempted to reach for that can of bubble goodness, try one of these alternatives instead. Start with a simple swap once a week, and then ramp it up as you find alternatives to diet soda that work for you. Then, on the days that you need your fizzy, caffeine-filled friend back in your life, just go for it — but be sure to savor every drop. While there’s nothing wrong with indulging in your favorite treat once in awhile, it’s a good idea to be aware of exactly what you’re using to fuel your body — and your brain. Your Turn: Are you a diet soda drinker, or are you more of the four-cups-of-coffee-a-day type? Grace Schweizer is a junior writer at The Penny Hoarder. She’s definitely the four-cups-of-coffee-a-day type.